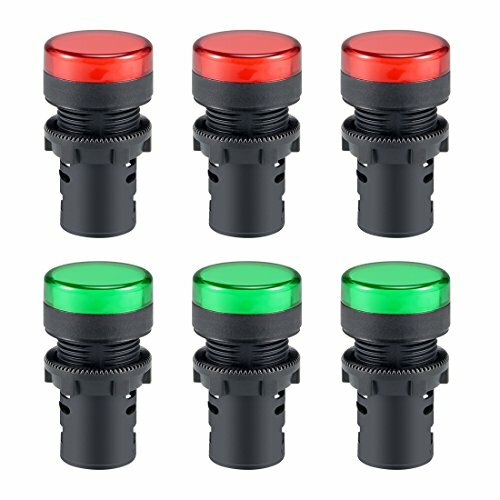 Easy to install with panel mouting hole in 19mm thread diameter. 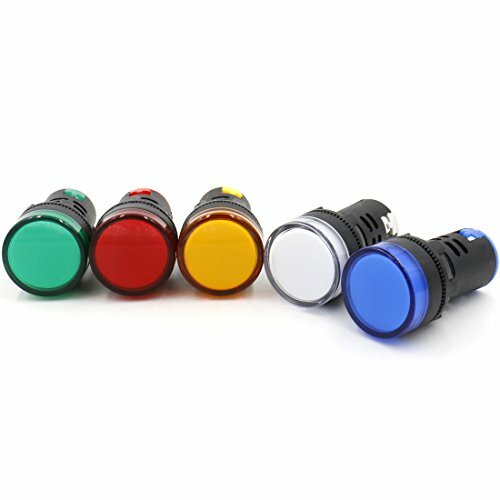 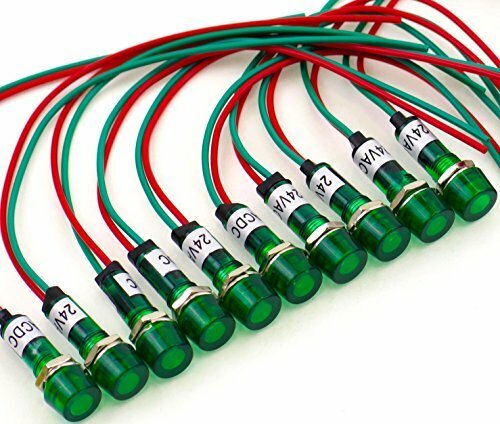 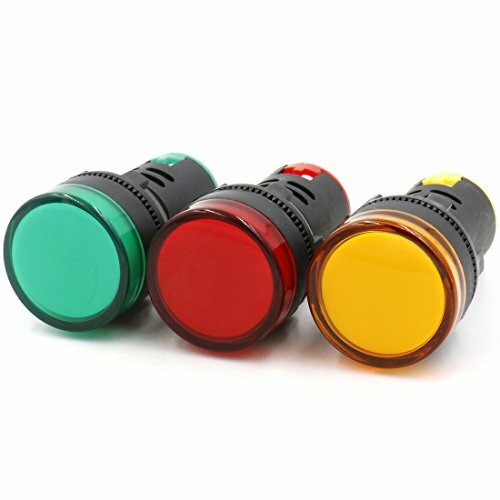 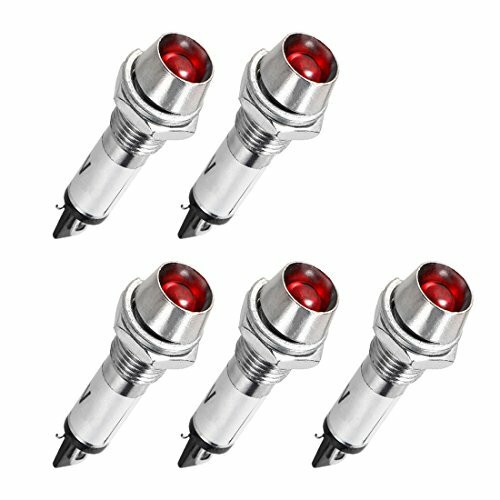 Great for turning signal, warning indicator light or any DIY customization projects.Great for turning signal, warning indicator light or any DIY customization projects. 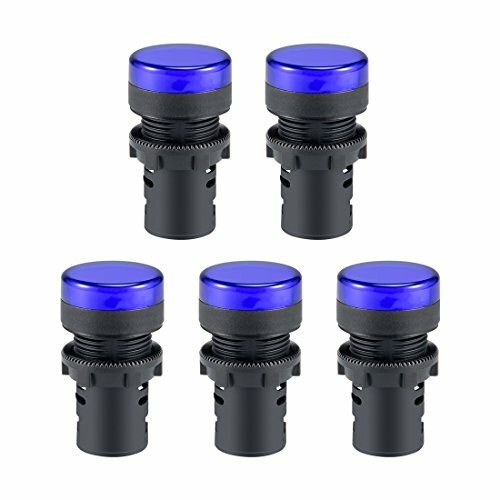 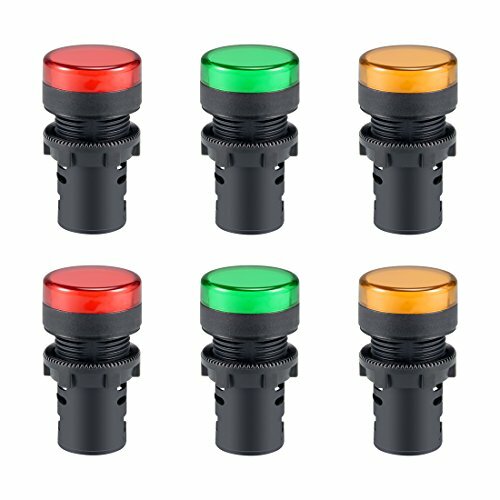 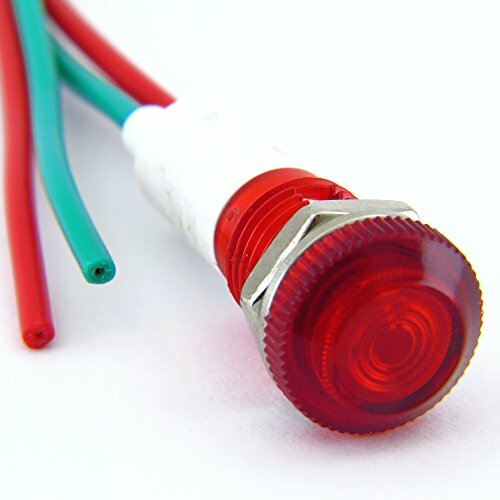 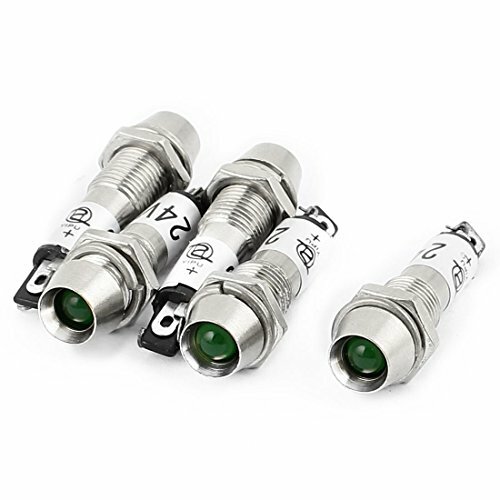 The LED indicator pilot light used for indexing signal, anticipating signals, emergency signal and other indexing signals in electric power, telecommunications, machine tool, motor, home appliances, etc. 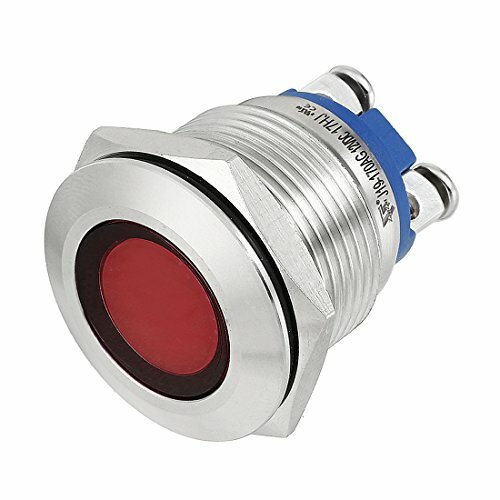 Mount Hole: 21.2mm / 0.83"
Features: 2 terminals, thread connection, plastic case, recessed mount, cylinder head, yellow pilot signal indicator lamp.Used for indexing signal, anticipating signals, emergency signal and other indexing signals in electric power, telecommunications, machine tool, motor,home appliances, etc. 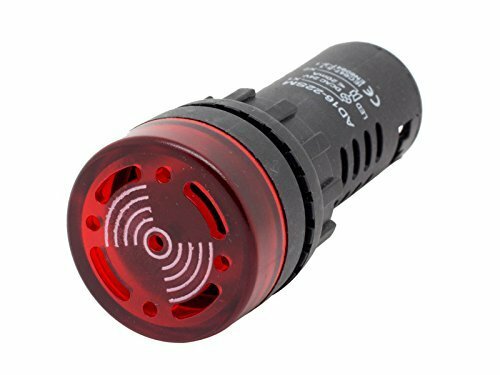 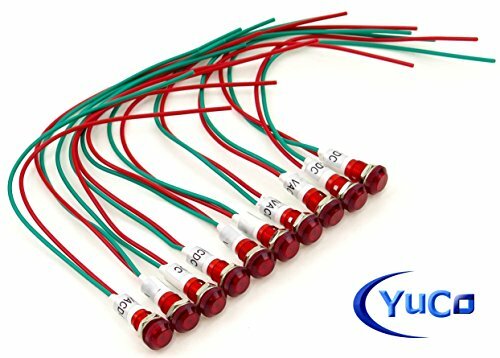 Yuco YC-9WRT-23R-24-10 red LED 9mm miniature indicator pilot light 24V AC/DC. 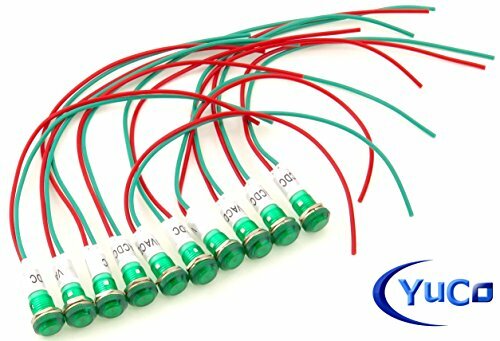 Standard wire length 195mm, 22 AWG, (2) wire connection.